For those that consider themselves car tuning enthusiasts, one tech spec that puts a smile on most faces is Honda’s VTEC engine. VTEC stands for “Variable Valve Timing and Lift Electronic Control” and it makes a common four stroke engine much more efficient in both power and performance. The VTEC engine has been used on quite a few Honda models over the years including the prelude and Civic. It is no surprise that the sporty and easy to tune Honda Civic is now offered with a 1.8 liter VTEC engine. While the Honda Civic 1.8 liter i-VTEC is not made for racing as stock, it does offer peppy performance. Some of the specs of this economy priced vehicle include 138 horsepower at 6300 rpm which isn’t bad for a light vehicle. An acceleration from 0 to 60 in the high 8’s and excellent fuel efficiency getting up to 41 miles per gallon on the highway and in the low thirties for the city. Obviously, the Honda Civic 1.8 liter i-VTEC is made for economy first, and that is quite alright. Even with a very nice sticker price below $15K for the basic trim, the Civic delivers great numbers while being efficient. 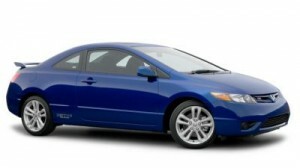 For those that love to tune cars, the Honda Civic 1.8 liter i-VTEC is a great model to play with. Being fuel efficient, light weight and having a very nice exterior style, there are plenty of modifications that one can implement to have a very substantial affect on performance. For those looking for a great new car to tune up, the Honda Civic is an excellent choice- it provides plenty of substance at a great price.